HOUSTON and AUSTIN, Texas – Dec. 4, 2013 – South by Southwest® (SXSW®) 2014 event organizers are preparing for unprecedented demand for high-speed Internet access from attendees, exhibitors and sponsors who will stream live video and connect with social media outlets from throughout Austin during the 2014 event. To fulfill this bandwidth need, the legendary entertainment event is again turning to Austin-based RightRound LLC and Alpheus Communications to design and implement a 2GB data circuit to support SXSW events, exhibitors, and attendees. Based on experience from the 2013 event and the already high interest in obtaining Internet access for SXSW 2014, vendors, exhibitors and sponsors are already signing up for Internet access so they’re better prepared to meet the needs of SXSW attendees in March. “South by Southwest presents new challenges each year, and it’s great to have partners like RightRound and Alpheus that we can rely on to help us adapt and succeed in keeping our network, and attendees, connected,” said Scott Wilcox, Director of Technology for SXSW LLC. Alpheus will deliver 2GB Internet access, double from 2013 levels, from its network hub/data center on East 6th Street in Austin and deliver connectivity directly to many venues. In addition, Alpheus’ bandwidth will be extended wirelessly via Alpha Omega Wireless to venues beyond the SXSW host hotel in downtown Austin. RightRound will provide IT strategy, planning and overall project management, along with services and equipment that exhibitors, sponsors, and performers need to properly deploy for streaming their events and performances. Understanding that a number of the SXSW venues are temporary with clients who only need Internet access for 24 hours or less, Austin-based Alpha Omega Wireless will deliver Alpheus’ Internet access via a microwave, point-to-point connection from the Alpheus network hub/data center to the SXSW host hotel in downtown Austin. In addition to using this 31-story hotel as was done in 2013, Alpheus, RightRound, and Alpha Omega Wireless will collaborate to provide an additional antenna downtown along with building out a network on Rainey Street that will cover all of the activities in the bars in that area. Another network site will be added in the area west of Congress Street to enable sponsors, performers, and attendees to tap into free Internet access using high-density Wi-Fi. Demand for Internet access during SXSW shows continued growth year over year. Typically, most attendees have at least two IP-enabled devices for watching and uploading streaming video, blogging and posting commentary to their favorite social media sites. To find out more about Alpheus Communications’ service, contact Enterprise Account Director, Chase Sadler at 512-992-8280 or chase.sadler@alpheus.net. RightRound (www.rightround.com) specializes in Internet connectivity anywhere, high-density WiFi solutions and video streaming for live events, festivals and conferences. The goal of RightRound is to solve technology problems, and make event technology work while making it feel easy and seamless. RightRound recognizes that the events industry is facing major changes, and being connected to the Internet is no longer a luxury. Bandwidth dependent solutions are now as critical as power and water. About Alpha Omega Wireless, Inc.
“AO Wireless” (www.aowireless.com) is a leading integrator of complete end-to-end wireless backhaul networking technology and solutions. Alpha Omega Wireless provides wireless site surveys, feasibility studies, engineering, spectrum analysis, path calculations, design, wireless installation, equipment sales, radio repair and maintenance, support, troubleshooting, and ongoing management & monitoring of point to point wireless links, point to multipoint wireless systems, WiMax backhaul, LTE, Wi-Fi, and wireless mesh. As well as SCADA telemetry radio, wireless video surveillance, and indoor RF. Alpha Omega Wireless works with unlicensed wireless Ethernet bridges and licensed microwave links. Alpha Omega Wireless will be attending the OilComm Conference and Exposition, in Houston Texas November 6th - 8th, 2013. Please visit us at booth 117. AO Wireless President Joe Wargo says, "Alpha Omega Wireless works with many client partners in the Oil and Gas Industry provideing wireless communications for point to point wireless backhaul, point to multipoint wireless Ethernet bridges, wireless SCADA telemetry, licensed WiMax, LTE, tower construction, wireless engineering, network design, and wireless installation. We are pleased to be invited to be at the conference and work with many of our client partners and other Oil and Gas Industry organizations. This will be a great show!" Alpha Omega Wireless is an experienced integrator of broadband wireless network technology and complete end-to-end wireless backhaul solutions. We provide a full range of point to point wireless backhaul, point to multipoint wireless bridges, WiMax backhaul, LTE networks, wireless mobility, wireless repeaters, Smart Grid wireless backhaul, indoor, outdoor, and municipal Wi-Fi, and wireless mesh products and services. The OilComm Conference and Exposition is the premier event providing communications solutions for both the offshore and remote inland oil and gas communities. Attracting more than 1,200 delegates and 125 exhibiting companies, OilComm 2013 will feature a full conference program led by oil and gas communications experts and innovators that will examine today’s communications challenges and unveil the next generation of solutions to meet those challenges. 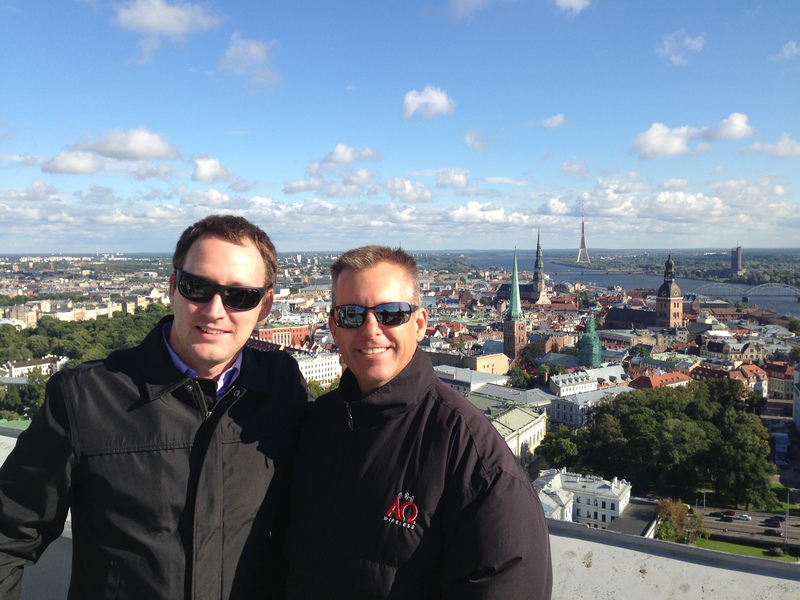 Alpha Omega Wireless, Inc. (“AO Wireless”) President, Joe Wargo, recently traveled to Riga, Latvia to build stronger business relationships with SAF Tehnika. The purpose of this trip was to have stretegic meetings with SAF Leadership, meet their engineering and product management teams, tour their R&D and manufacturing facilities, and to receive first hand training on new and exciting licensed microwave products. President Joe Wargo says, “I was very excited to be able to travel to Riga to see first hand the quality of the SAF Tehnika organization. It is vital to Alpha Omega Wireless, Inc. that we represent only the wireless backahul industry best of breed products in the point to point wireless and licensed microwave backhaul space to our clients. Being able to tour and inspect the quality of a manufacture's R&D, testing, and manufacturing gives us a greater ability to ensure that we are recommending the best point to point wireless backahul solutions but also to make sure we have the most highly trained teams performing wireless installation. SAF Tehnika has been building extremely high quality outdoor wireless microwave radio products for us for years. The majority of of our business is performing wireless network desing, path engineering, and wireless installation of licensed microwave, point to point backhaul for our clients. The quality of a point to point link depends highly on the quality of microwave radios you use. We have perfromed wireless installation of hundreds of SAF licensed wireless backhaul products with out any failures. Point to point backhaul using lincesed wireless is typically our clients' primary broadband connectivity that demands reliability. I was thouroughly impressed with the high quality of R&D, testing, and manufacturing that SAF provides. I have never seen so much attention to detail performed from anyone else. I am also extremely excited about their new inovative products being launched that will benifit our clients with their point to point wireless needs." 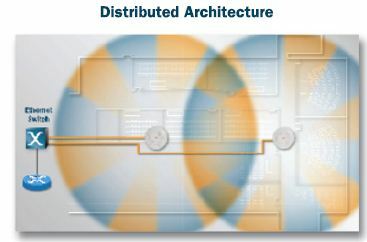 ("AO Wireless") is a leading integrator of complete end-to-end wireless backhaul networking technology and solutions. Alpha Omega Wireless provides wireless site surveys, feasibility studies, engineering, spectrum analysis, path calculations, design, wireless installation, equipment sales, radio repair and maintenance, support, troubleshooting, and ongoing management & monitoring of point to point wireless links, point to multipoint wireless systems, WiMax backhaul, LTE wireless communication, Wi-Fi, and wireless mesh. As well as SCADA telemetry radio, wireless video surveillance, and indoor RF. Alpha Omega Wireless works with unlicensed wireless Ethernet bridges and licensed microwave links. Alpha Omega Wireless, Inc. (“AO Wireless”) announces expansion throughout the United States with its opening of a new office in Oklahoma City. AO Wireless will become one of the premier wireless installation and microwave communications integrators in the central US market. President Joe Wargo says, “I am very excited opening another office location in the Oklahoma market. By having a presence in Oklahoma City we’ll be able to expand our local reach not only in Oklahoma but also surrounding states, such as Arkansas, Kansas, Missouri, Colorado, and parts of New Mexico. Over the past year we have engaged some very large projects in Oklahoma consisting wireless installation of long range licensed microwave point to point wireless networks, licensed WiMax for last mile wireless and wireless mobility, Smart Grid wireless, mobile radio communications, and wireless video surveillance. Oklahoma is a fast growing economy right now and we see a large demand for broadband wireless as critical telecommunications backhaul. Covering vast distances with fiber is costly and time consuming. Wireless backhaul can be deployed much faster and with a better ROI. Building out core GigE full duplex backhaul networks using point to point wireless bridge and microwave wireless can help allow for expansion of Oklahoma businesses and its ability to drive its economy. Today we are able to deliver upwards of 6Gbps full duplex wireless backhaul using licensed microwave wireless and with wireless repeaters we are able to cover large distances. Wireless point to point backhaul is used for the backhaul network, while WiMax and LTE wireless installation is being used for last mile wireless connectivity. Oklahoma is also a key state for our nations transportation system as its highways and rail system interconnects many other states. It’s a perfect location for the use of wireless mobility applications, such as unmanned rail, video surveillance, and wireless automation control. AUSTIN, Texas – April 23, 2013 – With thousands of music, film and interactive fans pouring into Austin, each carrying two or three mobile devices to catch streaming video and stay connected with social media networks, South by Southwest® (SXSW®) 2013 needed Internet access like never before. The legendary entertainment venue turned to its primary Internet consultant, Austin-based RightRound LLC, and two other local companies, Alpheus Communications and Alpha Omega Wireless, to design and implement a 1GB data circuit to support the needs of SXSW events, exhibitors and attendees. Alpheus Communications provided 1GB Internet access from its network hub/data center on East 6th Street in Austin and delivered connectivity directly to many venues. In addition, Alpheus’ bandwidth was extended wirelessly via Alpha Omega Wireless to venues beyond the SXSW host hotel in downtown Austin. In addition to overall project management, RightRound is the network solutions expert for SXSW, which has a long-standing relationship with Skolnick. RightRound provides services and equipment that exhibitors, sponsors and performers needed to properly deploy for streaming their events and performances. As many of the SXSW venues are temporary, including tents set up in parking lots, clients often only need Internet access for a day or even a few hours. That challenge was met by Austin-based Alpha Omega Wireless, which delivered Alpheus’ Internet access via a microwave, point-to-point connection from the Alpheus network hub/data center to the SXSW host hotel in downtown Austin. From atop this 31-story hotel, Alpha Omega Wireless extended Alpheus’ Internet access via point-to-multipoint wireless connection to 30 to 40 venues where the firm also delivered high-density Wi-Fi that attendees accessed free of charge. Demand for Internet access during SXSW shows no signs of slowing. With just a casual look around the events, attendees each have at least two IP-enabled devices for watching streaming video, blogging and posting to their favorite social media sites. Alpheus Communications (www.alpheus.net) is a leading provider of Texas metro-regional fiber and networking solutions. With owned facilities in Dallas-Fort Worth, Houston, San Antonio, Austin, Corpus Christi and the Rio Grande Valley, Alpheus is flexible, content-neutral and responsive to customer needs when low-latency and uptime are essential. As the preferred fiber backbone for Metro Texas, Alpheus is in a unique position to support mission-critical information technology functions and cloud computing solutions through resilient SSAE 16-compliant data center platforms for colocation and disaster recovery. RightRound (www.rightround.com) was created out of the successful Internet services delivered at SXSW including attendee WiFi, video streaming, and event production since 2005. Internet technology has an increasing role in events of all kinds. RightRound is the effort to provide the successful solutions that have been used at SXSW to others. AUSTIN, TX--(Marketwire - Mar 8, 2013) - Xirrus®, the leader in high-performance wireless networks, and Alpha Omega Wireless, an integrator of broadband wireless network technology and complete end-to-end wireless backhaul solutions, today announced that the South by Southwest (SXSW) conference, a premier showcase of original music, independent films, and emerging technologies, will use Xirrus Wi-Fi arrays to provide wireless coverage at SXSW 2013. IT staff for the event, to be held March 8-17 in Austin, Texas, will deploy Xirrus Arrays across mission-critical event venues to provide comprehensive reach and coverage for attendees. Event organizers predict that attendees will carry, on average, two mobile devices each, including smartphones, tablets, and laptops. Working with Xirrus partner Alpha Omega Wireless, SXSW first deployed Xirrus Arrays for high-density venues at its Interactive Kickoff Party in 2012, supporting up to 2,000 mobile devices simultaneously and accommodating the surging demand for wireless social media communications at the event. Xirrus Arrays use multiple AP's with sector antennas to distribute Wi-Fi signals, in much the same way as cellular antennas, allowing for maximum output and better RF channel control. Further simplifying the wireless architecture, Xirrus Arrays operate at both 2.4GHz and 5GHz, allowing SXSW site planners to map mobile devices with 802.11a 5GHz capability onto the 5GHz wavelengths, reducing demand for 802.11b/g 2.4GHz service. Virtually all second-generation mobile devices are designed for optimum operation at 5GHz. 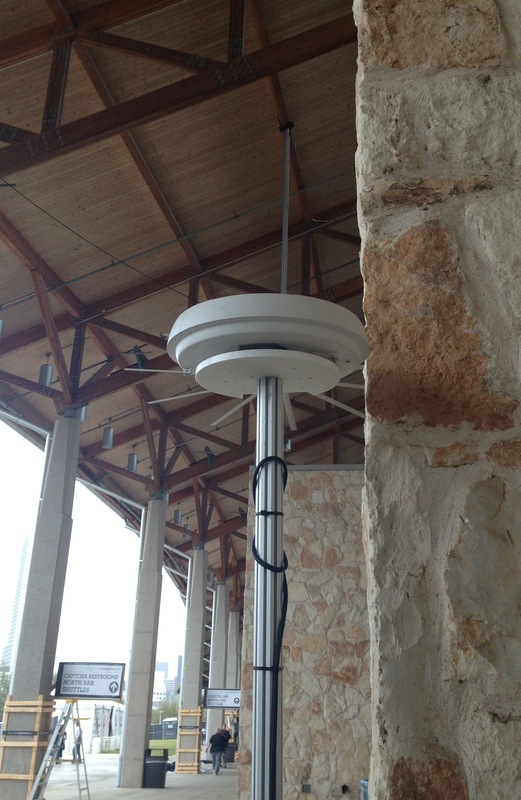 "Each Xirrus Array has its own integrated controller, eliminating the costs and architectural complexity of using centralized Wi-Fi controllers," said Joe Wargo, president of Alpha Omega Wireless, who managed the infrastructure site plan in tandem with SXSW's IT staff. Creating Xirrus-based hotspots proved to be a routine, reliable approach to adding bandwidth virtually on demand. Xirrus Arrays house up to 16 AP's, simplifying network architecture by allowing a single Array to replace many discrete AP's. Now, with the ease of provisioning a series of Xirrus hotspots, IT staff for SXSW will be equipped to establish seamless roaming within major venues at the event, eliminating the need for attendees to manually reconnect at each event venue. SXSW has expanded to blanket virtually the entire city of Austin with its presence. Event officials said that wireless mobility has become even more critical in ensuring a dynamic, media-rich experience for its staff, performers, and attendees. "SXSW has grown beyond all predictions, and wireless service must provide visitors the wired-like experience they enjoy today, but without the complexity and high cost," said Scott Wilcox, Director of Technology for SXSW. "Scaling the infrastructure for an event with the hyper-growth of South By Southwest can create many unforeseeable demands," said Steven Wastie, VP of Marketing for Xirrus. "But in scaling the vital communications infrastructure to support one of the music industry's most heralded events, nothing can be left to chance. We gratefully acknowledge the trust that South By Southwest has placed in Alpha Omega Wireless and Xirrus." SXSW 2013, the world's leading music industry event, offers attendees the opportunity to explore the future of the music industry during the day at panels, talks, the Trade Show, Music Gear Expo and other conference activities at the Austin Convention Center. At night, the absolute best mix of musical performances from over 2,000 regional, national and international acts will take place at the nighttime music festival. Altogether, SXSW presents unmatched networking opportunities, career-building conference programming and over 100 stages of music for showcasing bands and conference attendees. SXSW Music takes place Tuesday, March 12 - Sunday, March 17, 2013 in Austin, Texas. For more information on every aspect of SXSW and to register to attend, please go to http://www.sxsw.com. ("AO Wireless") is a leading integrator of complete end-to-end wireless backhaul networking technology and solutions. Alpha Omega Wireless provides wireless site surveys, feasibility studies, engineering, spectrum analysis, path calculations, design, wireless installation, equipment sales, radio repair and maintenance, support, troubleshooting, and ongoing management & monitoring of point to point wireless links, point to multipoint wireless systems, WiMax backhaul, LTE, Wi-Fi, and wireless mesh. As well as SCADA telemetry radio, wireless video surveillance, and indoor RF. Alpha Omega Wireless works with unlicensed wireless Ethernet bridges and licensed microwave links. Xirrus is the leading provider of high-performance wireless networks. Xirrus' Array-based solutions perform under the most demanding circumstances with wired-like reliability and superior security. The Xirrus wireless solutions provide a vital strategic business and IT infrastructure advantage to the education, healthcare, government and enterprise industries that depend on wireless to operate business-critical applications. Headquartered in Thousand Oaks, CA, Xirrus is a privately held company that designs and manufactures its products and solutions in the USA. For more information please visit: http://www.xirrus.com and follow us on Twitter: @Xirrus. Xirrus is a trademark or registered trademarks of Xirrus. South By Southwest and SXSW are registered trademarks of South By Southwest. Other trade names used in this document are or may be the property of their respective owners. Alpha Omega Wireless, Inc. President, Joe Wargo, will be a featured speaker at the 2013 SXSW Interactive. Joe will be speaking to an audience, on Saturday March 9th from 9:30AM to 10:30AM at the Austin Convention Center (http://schedule.sxsw.com/2013/events/event_IAP15797) about wireless networks at large events and venues. Some of the topics will be about how to design, prepare, and deploy wireless backhaul and Wi-Fi networks for high-density crowds in large venues. Wireless technologies that will be covered are point to point wireless bridges, to include licensed microwave backhaul and use of unlicensed point to point wireless bridges, microwave communications, point to multipoint wireless Ethernet bridges, WiMax, and wireless mesh networks. He’ll also cover successful design and deployment of high density Wi-Fi, both indoor and outdoor Wi-Fi. SXSW Music is one of the largest music festivals in the United States, with more than 2,000 performers playing in more than 90 venues around downtown Austin over two weeks, in March. The SXSW Conferences & Festivals offers the unique convergence of original music, independent films, and emerging technologies. SXSW Film has become one of the world's premier film festivals,focusing on new directing talent. Similarly, SXSW Interactive has attracted a strong following among web creators and entrepreneurs. Its focus on emerging technology has earned the festival a reputation as a breeding ground for new ideas and creative technologies. According to festival co-organizer Louis Black, SXSW Interactive "has probably been the biggest of its kind in the world" since 2007. Alpha Omega Wireless, Inc. ("AO Wireless") has recently hired on Laird Frantzen, a seasoned Wireless Field Engineer and Tower Installer to help expand and grow the company's operations. Laird comes to AO Wireless with years of outdoor wireless industry experience. Laird has been involved in the communications and tower industry for many years. During which time he has been involved with tower site construction and wireless backhaul installation. Laird has years of experience building out large Wireless Internet Service Provider (“WISP”) networks and working for contract companies for Sprint, Verizon, AT&T, T-mobile and Clearwire. He has been involved in the complete telecommunication site construction of monopoles and self-supporting towers up to 480 feet. He has performed installations up to 1400 feet. He also brings experience in wireless network design and troubleshooting microwave communications, wireless bridge, WiMax, LTE, and high bandwidth point to multipoint. Laird has also served six years in the United States Marine Corps in radio communications. He is also certified in Tower Safety and Rescue through ComTrain, which is a standard requirement of all field personnel that work for Alpha Omega Wireless, Inc.
President Joe Wargo says, "We are excited to have Laird as part of the AO Wireless team. He brings a lot of experience to the organization. He has an extensive background in outdoor wireless backhaul, to include: point to point wireless backhaul, both unlicensed wireless Ethernet bridges and licensed microwave communication, and point to multipoint wireless Ethernet bridges. Laird also brings on board experience in communication tower site build outs that will allow us to provide more extensive project management in the field. We believe Laird will be able to help us exceed our growth goals, while helping us expand into more geographic locations.We are growing rapidly with offices in CA and in Texas and will shorlty have an East coast presense as well. Bringing on the best in the industry will help define who we are and the quality of work we do in the wireless industry!" Alpha Omega Wireless, Inc. ("AO Wireless") has recently hired on Jesse Mackey, a Wireless Field technician and Tower Installer to help expand and grow the company's Central Region operations. Jesse is based out of our Austin Texas office. Jesse comes to AO Wireless with years of outdoor wireless industry experience. Jesse recently served in the US Army as a Long Range Surveillance Radio Operator. His experience was in wireless communication and wireless backhaul with satellite, VHF, UHF, and microwave equipment. During his service he had to deploy wireless networks and two-way radio communications in the most challenging environments. Some of Jesse’s strengths are in Antenna Theory. Already, while on board with AO Wireless, Jesse has been involved with communication tower construction, LTE wireless, and point to point wireless, and licensed microwave communication. President Joe Wargo says, "We are excited to have Jesse as part of the AO Wireless team. He brings a lot of experience to the organization. He has an extensive background in outdoor wireless backhaul, to include: point to point wireless backhaul, both unlicensed wireless Ethernet bridges and licensed microwave communication, and two-way radio. He has already shown great experience with tower climbing and wireless installation. We believe Jesse will be able to help us exceed our growth goals, while helping us expand into more geographic locations." Alpha Omega Wireless, Inc. becomes a channel partner of RAWIN, a leading global provider of wireless Point-to-Point and Point-to-Multipoint solutions in the sub-6GHz space. RADWIN’s wireless solutions deliver Voice, Video and Data on a single platform with high capacity. The systems incorporate cutting-edge technologies and interference mitigation techniques, including MIMO and OFDM. The highly durable solutions operate flawlessly in all environments. RADWIN’s solutions are ideal for a broad range of markets and applications, and are deployed in over 140 countries. The Point-to-Point and Point-to-Multipoint solutions are used by Tier-1 carriers and service providers for backhaul and broadband access applications. They are used by enterprises and private networks to boost network capacity and eliminate leased line charges. The systems are also used by public safety agencies worldwide for high definition video surveillance. RADWIN is a leading provider of sub-6 GHz wireless Point-to-Point and Point-to-Multipoint solutions. RADWIN’s solutions deliver voice, video and data with ultra-capacity for long ranges. Deployed in over 140 countries by carriers, service providers and enterprises, RADWIN’s carrier-grade solutions are ideal for a broad range of backhaul, broadband access, security, and video surveillance applications. Alpha Omega Wireless is an experienced integrator of broadband wireless network technology and complete end-to-end wireless backhaul solutions. We provide a full range of point to point wireless backhaul, point to multipoint wireless bridges, WiMaxbackhaul, LTE Networks, wireless mobility, wireless repeaters, indoor, outdoor, and municipal Wi-Fi, and wireless mesh products and services.